“The Artist’s Hand: Technologies, Traditions, Trajectories” seeks to explore the role of the individual artist’s hand in relationship to the cutting-edge processes and modes of art historical analysis deployed in the twenty-first century. In the age of digital production and reproduction, what role does the hand play in engendering the formation of an original artwork? How do contemporary artists negotiate the boundary of old traditions and new trajectories? 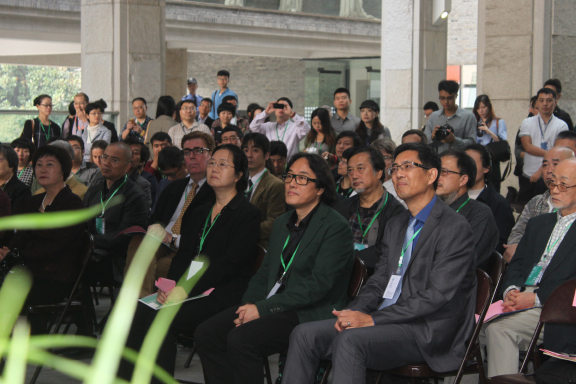 New Perspectives on the Silk Road: 2015 International Conference on the Kizil Cave Paintings was jointly organized by China Academy of Art and the Xinjiang Kucha Academy. The conference will provide an overview of the research on Kizil cave paintings and Buddhist art, the preservation and restoration of monuments, and other related topics about the Silk Road. This Conference will bring together distinguished experts and scholars in this field from all over the world. There will be more than 100 delegates from countries such as China, the United States, Germany, the United Kingdom, Italy, Japan, and Taiwan among others. The Conference will be held in Hangzhou and Xinjiang. It is expected to be one of the largest international academic research events happening in mainland China about the Kizil grottoes and related topics.